Mt Vernon Appellate Courthouse - HURST-ROSCHE, INC. The Appellate Court Annex is a two-story, brick annex connected by an enclosed walkway to the west side of the courthouse built in the 1930’s. 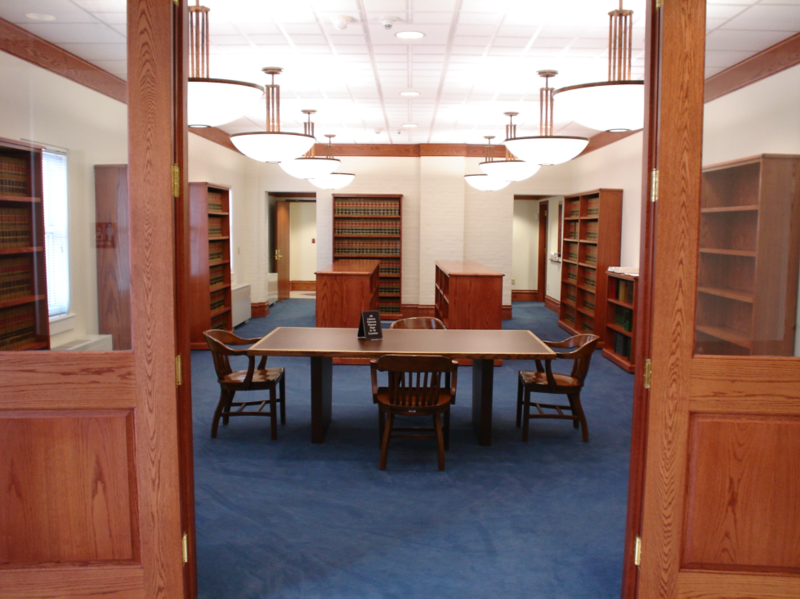 The Court’s outmoded facilities could no longer accommodate the space needed for the clerk’s office, research department and maintenance which are housed in the courthouse. Design Architects, Inc. (subsidiary of Hurst-Rosche Engineers, Inc.) completed plans and specifications for a new addition to the annex. This included a new two-story, 8,000 square foot masonry addition with a freight elevator; all related electrical and mechanical, heating, ventilation system to accommodate the office, library, restrooms, storage space and parking garage. Design Architects also provided construction administration and construction observation. This project is listed under the Historic Preservation Agency.